A side sleeper is simply someone who sleeps on their side. You can count yourself among their ranks if you shun sleeping on your back or stomach in exchange for sleeping with your hip and shoulder right on the mattress. 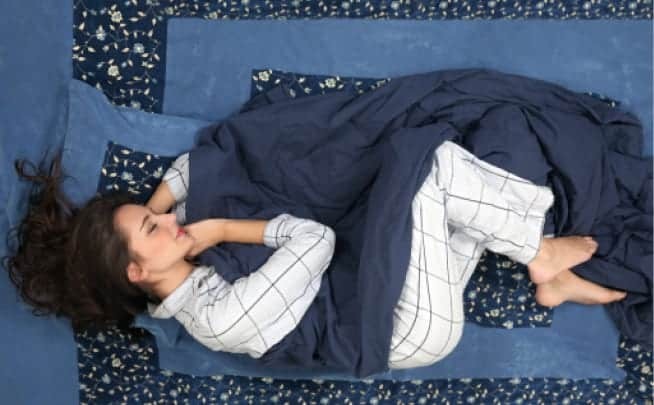 It’s true that while we spend about a third of our lives sleeping, we don’t often stop to consider what our sleep positions reveal about our personalities. 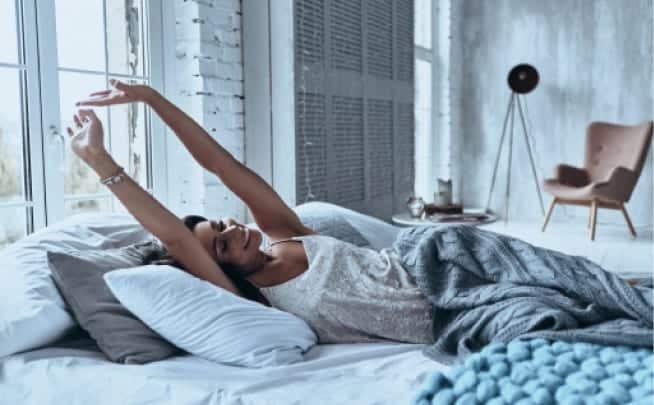 A study by Professor Chris Idzikowski, Director of the Sleep and Assessment Advisory Service, signals that similar to our body language during the day, our subconscious sleep posture might also hint to our personality traits. While the results are self-reported, it’s still fun to explore – and there are plenty of variations within side sleepers that might reveal more about your personality than you would think. Below, we’ve compiled more about about the most common type of side sleepers and what your go-to option says about you. The log is your sleep type if you sleep on your side with your arms down and close to your body. These sleepers tend to be “easy going social people,” who are popular with others. These are sleepers who sleep on their side with their arms stretched out in front of them. They’re known for “having an open nature, but can be suspicious.” If you identify with this type, you might also carefully deliberate on the pros and cons of a decision before actually making it. Pillow-huggers are cuddly people who sleep on their side while adorably embracing a pillow and holding it close. It shouldn’t be surprising, then, that these are loveable personalities who really value their relationships with others. This is a variation on the fetal position, with a twist. Thinkers will sleep with their chin resting on their hand as if, even in their dreams, they’re pondering big life questions. These folks are feelers: when they feel good, they feel really good and when they feel bad, they can be very moody. There’s good news when it comes to sleeping on your side. This position is actually gentler on your neck than sleeping on your stomach. However, studies show that sleeping on your side can actually apply pressure on your legs and arms. In fact, a study shows that this can sometimes lead to carpal tunnel syndrome. If you’re worried about this risk, but can’t imagine changing up your trusty sleep position, try modifying it in two ways. First, make sure that your arms are down by your side. Sleeping with your arms overhead, perhaps around your pillow, can pinch your lower shoulder. Instead, sleep with your arms down by your side. You can also try sleeping with a pillow between your legs. This simple accomodation keeps your legs from adding any extra strain to your back. When it comes to sleeping on your side, it also important to note which side you sleep on. This is due to our body’s anatomy and the location of our organs. If you go with your left side, you’ll be happy to learn that sleeping on this side is associated with a whole range of benefits. It can soothe heartburn and acid reflux, help with digestion, improve circulation, and even promote the drainage of toxins from your lymph nodes. Meanwhile, there appears to be a link between sleeping on your right side and acid reflux. Often, side sleepers want to know if they should be sleeping in supine position for extra health benefits. The supine position is a fancy word for sleeping on your back with your face facing upwards. There are pros and cons to sleeping this way. For one, it helps to keep all of your internal organs aligned. Another benefit is that sleeping in supine position, that is, on your back, distributes your body weight over the mattress. This means that compared to sleeping on your side, no one part of your body will feel more pressure from the mattress than another. One con is that your spine can curve out of alignment. Luckily, there’s a simple solution to this: simply place a pillow under your legs to support proper sleep posture. However, if you’re someone who snores, we recommend sleeping on your side or stomach. The reason is that snoring is the result of a mechanical blockage of your airway. In your sleep, the muscles of your tongue and throat relax. This is natural, but if you’re sleeping on your back, these muscles might actually push onto your upper airway obstructing your air passages. This leads to the signature sound of snoring: audible vibrations in your nose and throat. So when it comes to which sleep position is right for you, try and fall asleep in the position that is more supportive for your health and wellbeing. Side sleepers need thicker pillows for their heads, more so than people who sleep on their backs. The idea is that the pillow should provide enough lift to your head and neck so that your spine lies as straight and horizontal as possible. If you want give your neck the ultimate gift, consider getting a “double contour” pillow. These pillows slope upward around your neck area providing a cradling effect for your head. Another option is to get a memory foam pillow that will contour around your neck and head in a similar manner. Using a thin pillow between your legs will help keep pressure off your hips. It will also prevent your knees from bumping into each other. If you want to upgrade, there are also specially designed memory foam pillow-blocks that contour around your knees. Placing a pillow behind your back can feel really cozy to some people. It can also provide some support so that you don’t turn over on your back while sleeping. There are back support wedges that fit right between your waist and the mattress. These are great for keeping your spine straight, thereby increasing your chance of feeling well the next morning. With this trusty little pillow in your toolkit, you might wonder how you slept without it. Here at Nectar, we tried to take the guesswork out of choosing a pillow, by designing the pillow we’ve always wished we had. Our specially designed Nectar pillow combines the best of soft and supportive pillows. The outer shell provides luxurious oomph while the inner shell is made out of three types of foam that contour around your body, whether you use the pillow under your neck or between your knees. Since pillow preference can vary from sleeper to sleeper, we also ship the pillows to you overfilled. This way you have control over how much fluff you want: simply remove the stuffing until it feels right. You can also save the extra stuffing in case you want to adjust your pillow later. Finally, wrapped it all up in a cooling Tencel fabric because, let’s face it, if a pillow makes you too hot, you’ll just toss it aside. Though side sleepers are the most common type of sleepers, not every mattress provides the right support for this position. When looking for a mattress, your best bet is to go for a medium-firm memory foam mattress. The reason is that when you sleep on your side, you want your hip and shoulder to sink into the mattress a little so that your spine remains aligned. A too-firm spring mattress would just apply pressure on these spots, while a too-soft mattress would mean that you sink in too much to stay comfortable and supported. In contrast, memory foam keeps up with all of your sleeping positions and molds itself around your body. It is truly an incredible material, developed by NASA scientists, to be able to adapt to your sleeping preferences in this manner. 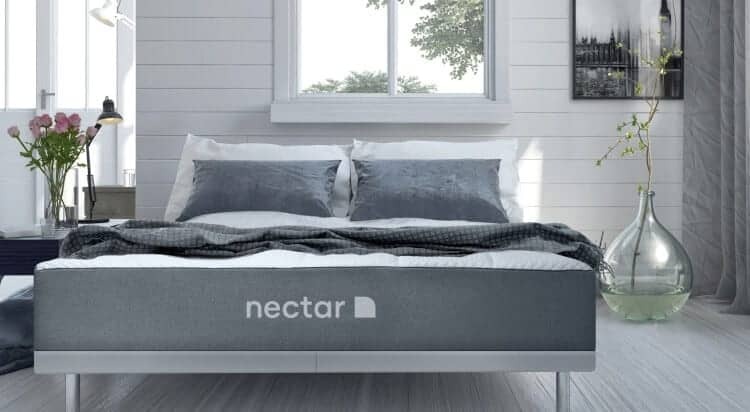 Nectar was developed to be a premium memory foam mattress that could offer the contouring support side sleepers need. A bonus feature of a memory foam mattress is that if you share a bed, you can trust that memory foam will also adapt to your partner’s preferred sleeping position. Sleeping on your back lets your tongue and other mouth muscles collapse toward the back of your throat. This is a main factor in the vibrating (and often very loud!) sounds we call snoring. Thus, if you sleep on your back and you snore, try switching over to sleeping on your side. You may find the relief you’re seeking, and if you have a partner they will likely be very grateful as well. Still, switching sleeping positions is always a bit hard. Some people find that if they place a pillow behind their back, it serves as a reminder to not roll over in the middle of the night. If you do switch to sleeping on your side and find that you’re still snoring, you might actually have obstructive sleep apnea. Obstructive sleep apnea is a sleep disorder where your throat muscles relax and block your airway at irregular intervals. This in turn interrupts your breathing over the course of your sleep. Aside from snoring, people with obstructive sleep apnea may experience waking up in the middle of the night gasping for air or waking up with a dry mouth. It’s best to check in with your doctor to make sure you’re not confusing snoring for something more serious. Find a mattress that supports your body. For side sleepers look for a medium-firm memory foam mattress. Be gentle on the shoulder and hip that you sleep on. Avoid anything that applies too much pressure to these parts. Go with a firmer pillow that will keep your head off the mattress. More specifically, you want your head to be right in between your two shoulders. Use a thin pillow between your knees when sleeping to prevent soreness in your hips or to keep your knees from banging into each other. And while, we’re on the subject of pillows – when it comes to side sleepers, the more pillows the better. Experiment with hugging pillows or placing a pillow behind your back until you find your most comfortable combination. If you’re pregnant, snore, or suffer from sleep apnea, a good rule of thumb is to sleep on your left side. The best mattress firmness for side sleepers is one that is medium-firm. If your mattress is too firm, you might feel pressure on your hip and shoulder while sleeping. Meanwhile, if the mattress is too soft, your whole body will sink into the mattress and your spine will not be aligned. In contrast, a medium-firm mattress provides the right amount of support while contouring around your body where needed. Memory foam mattresses are great for side sleepers. This type of mattress forms around your body every time you move. For side sleepers, this means that a memory foam mattress will sink a bit under your hip and shoulder while keeping the rest of your body supported. This will encourage better alignment when it comes to your spine. A memory foam mattress is also a must for anyone who shares their bed. It allows each individual to sleep in their preferred position and wake up feeling well. An added benefit is that a memory foam mattress will not transfer motion. This means that if one person rotates through different sleep positions in one night, their movement won’t disturb their partner. The worst mattress for this would be a spring mattress because the movement of one person can make the other bounce, jolting them out of their dreams. Side sleepers should actually avoid a firm mattress. It simply does not provide the right amount of give for this sleeper. Think about laying on hardwood floors on your side, it’s not comfortable because you feel pressure against your shoulder and hip. While a firm mattress is not as hard as the floor, you can imagine that it still wouldn’t let your shoulder and hip sink in a little, which is exactly what you need to sleep comfortably. The answer is not quite. Studies have shown that the way to go is medium-firm. In a double-blind, controlled, multicenter trial, researchers concluded that “in patients with chronic, non-specific back pain, medium firm mattresses reduced pain related disability more than firm mattresses.” The idea is to have a little balance, go firm but not excessively so. If you are dedicated to having good sleep and you are a side sleeper, go with a medium-firm memory foam mattress. The reason is that when it comes to sleep posture, keeping your spine aligned is very important. A medium-firm memory foam mattress contributes to this goal by molding to your body and providing both support and sink where needed. The author of The Happy Sleeper, Heather Turgeon, says that “because of the greater distance between their heads and the mattress, side sleepers often need a thicker pillow to keep their head and neck in a neutral position.” This means that when picking a pillow to support their head, a side sleeper should aim for extra-firm support. While a fluffy soft pillow seems comfortable, in reality, it’s the firm pillows that give your head the lift it needs. The Nectar pillow, made out of memory foam, is a good choice because it comes overfilled: you can adjust the stuffing until your pillow is just right. Customers seeking wellness and the best sleep of their life will love like the many perks that buying a Nectar mattress gives them. We’ve figured out the perfect combination of cool, breathable comfort and support for your best rest. And beyond that, we’ve made sure to provide the best practices in the industry offering friendly customer service, a Forever warranty and a 365 night home trial period with free shipping and returns.